Do you have a dream? Of course you do; you have many. Maybe not every night, but some nights I trust, and hopefully you still let yourself sit, stare and day dream like you did when you were a kid; cultivating the essence of the infinite possibilities you were, still are, and will always be. My dream is a combination of both our dreams. I discovered a few years ago that this Universe is one where all of our dreams are cultivated together in harmony. And not only our dreams, but potentially our nightmares too. One of my best friends once told me he enjoyed his nightmares, and I had never thought such a thing was possible. Maybe some people do enjoy the oddness of it all, some people the plainness, and some people the epicness (like me). But one thing we all can appreciate is the dreams we wake up from with a feeling of peace from; that open feeling of relief makes us feel like we can take on our day, or just stay in bed, and it’s alright. I don’t know who believes in their dreams, and who thinks their just figments of what they label as an “imagination”, as if it were something not real, but I do know that in so many ways our dreams are already real, but to achieve them is the work of miracles. God’s hOMe - light in the void of infinite space. I have always enjoyed travel; to explore new places, see and experience new things, but nothing solidified that truth more than my first time overseas. I studied abroad in China in 2007, and I was beyond astounded by what I experienced. Getting off the plane after almost a full day was plenty enough for my body-mind connection to have entered a legitimate TARDIS (Time And Relative Dimensions In Space) that brought me to a land I have never before even comprehended its possibility. Shanghai in August was just short of an alien world in my perception; the environment, the culture, the look of everything, and my first time not looking much like everyone else around. After my time there, my life path was more or less set. I, Jesse Emerson Hart, am the figurehead of the Second Coming of Christ (actually its the Third Coming, but the first was actually before our most recent recorded history - yes we have had timeliness before this timeline; many). Yeah, I was surprised, unbelieving and yet so excited, honored and “Of course!” about it in 2012 when I understood it as my identity. After committing to it is when my yogic path began, and I began teaching a year later. Now I did not grow up religious, nor atheist, nor agnostic. Me and my family simply were people, doing their best to be good and live our lives as we desired, not as another desired for us. I guess I did so good at that that I was honored the highest honoring a human being can achieve, though strangely enough I did so by just being true to myself. … It’s 3:33. If you have a Bible, you can flip to Isiah 11 and that Jesse is this Jesse. That is what I was shown in 2012 and when I read it, I COULD REMEMBER WRITING IT. Not by my own hands of course, but of an old man’s, in a dark space lit by candle light, written with a quill and ink. This is just one of many memories of others in which I now house within my own being. I do still know this is unbelievable. I’ve said this to a handful of people in person, and am never met with adversity, but nor am I met with astonishment; almost more, matter-of-fact. I suppose to any ego (person), still convinced of its separateness from God/Universe/All, there still needs to be a degree of proof; for I am certainly not yet walking on water, but I know within the next few years, I’ll be dancing on it. 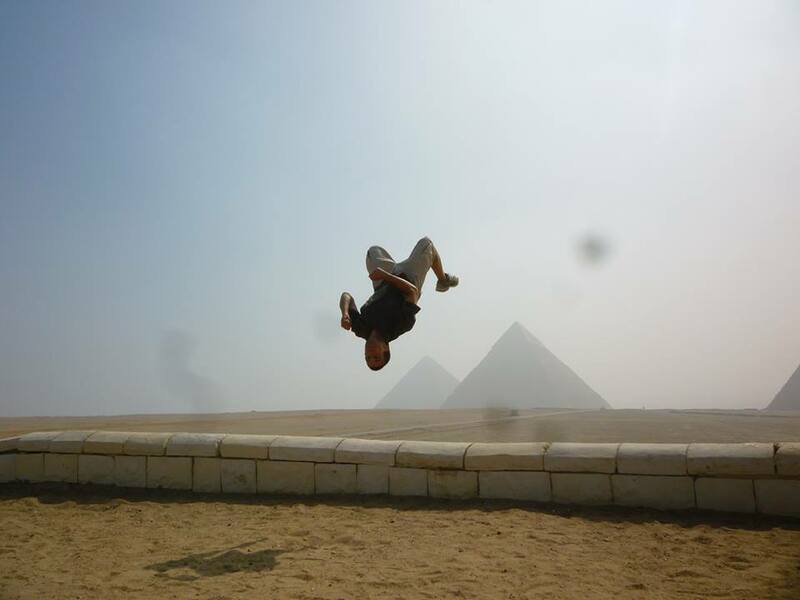 Looking forward to more than back flipping over pyramids, but living, teaching and performing in them! Ever since I can remember, I’ve wanted to be a Father. Since 5 years old, I’ve wanted to be a Dad. Also, I wanted to be super human. I say super human because it started as super hero, but at times would morph even into being a less understood super villain; maybe ‘villain’ isn’t the right word there, but ominous and unhappy in his circumstances - so exhibiting power in not so good ways. These visions never went away and eventually began manifesting. First through better circumstances at home and at school; never was I bullied, and never did my standard of living go down; everything has been steadily on up with a few deep dips down ever since I’ve been born (and now that they are understood for their purpose as relative ups). Through Christ Consciousness, I am now able to masterfully Transmute (to change from one nature, substance, form or condition into another; transform) thoughts into actual reality - and/or, allow God (The Perfect All Encompassing) too. My created practice is called, “Empathinity” or “Understanding Forever”, will teach Transmutation. Still, this journey has only just begun. Now I seek to embark on my third attempt (“Third time’s a charm!") of going around the entire planet by motorcycle to unite the world first hand in me, become a World Citizen and [official] Master. You may have heard me say this before, but I say it this time all together, the Full Truth as plainly as I can put it. This is to enable the freedom and peace that the Earth has been prophesied to achieve/experience for millennia. One could say the scares we have experienced with the never ending horrible media is the purging out of our collective darkness before we renter “The Light” or Re-Rise from Grace. Scare us to wake up to our actual identities. I understand that we do this through me; through our heart’s desire, though still too many are overly mind/brain focused, when its bypassing that and looking deep within our heart’s to remember our divinity and inter-connectivity with each other and all. 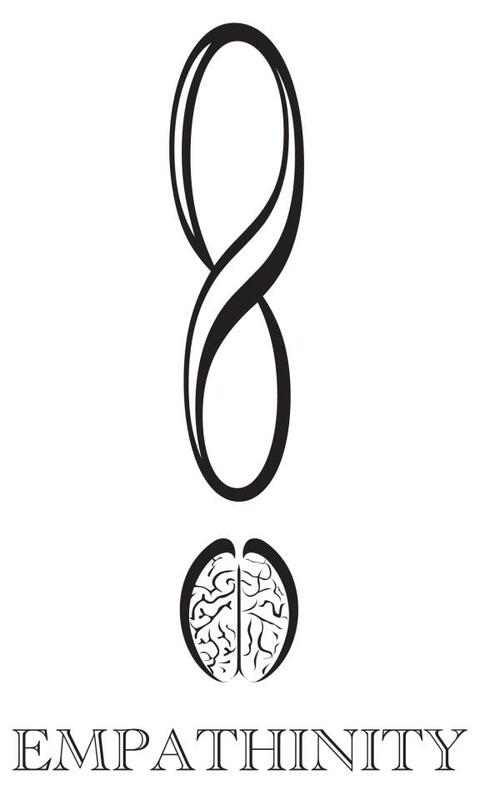 We are One: The Light, the “Dark” and the In-Between. Honoring this, honors the One and All. I am expressing this as a reaching out/coming out. “Mom, Dad, All, I’m One with God.” “We know honey.” “[Whew! ]” I’m sure that I have been deemed all sorts of things and will continue to as We go through our relative spiritual growing pains/resists, but I’m looking forward to assisting each other in more fluid ways as we enable this generation to create a future-scape of our dreams and discover the adventure of it all, rather than the struggle. If you feel hurt, please let me know and we can get through it relatively easy/manageably challenging; it is only the pride of a stuck pattern that doesn’t serve us that is un-joyous. Truly it will inevitably serve us in contrast, but nonetheless, let’s get through it and discover our greater potentials as young Gods and Goddesses. Move over Jesus, Jesse is the Yin to your Yang. Thanks to my persistent consistency, the Universe has opened up and enabled me to a very awesome endeavor - teaching yoga at the collegiate level! From January 17th, to March 21st 2019, I will host a 2 hour evening class on Thursdays from 7:00-9:00pm at the Grants Pass Redwood Campus. Not only do I have an amazing opportunity to get people to consistently show up to ALL my classes for two months straight, but I have them all for two whole hours and in the evening when deeper states of meditation can be more easily reached (so deep people may likely go to sleep during their final relaxation pose near the end of each class). This sort of opportunity provides me the epic experience of actually creating a start to finish curriculum where I will get to show people EVERYTHING I have learned through yoga. It will be a great challenge, but one I am ecstatic to meet, and to grow deep relationships with, and of, people’s inner and outer being (for ultimately we are only ever working on ourselves and our own reality, not “other people” though other people will be doing the same for themselves through my guidance). That’s the short of it. The LONG of it, I will not even comprehend myself until we get some momentum going. Super stoked and fear free I am, plunging heart-head first into the highest level I have reached in my profession yet. 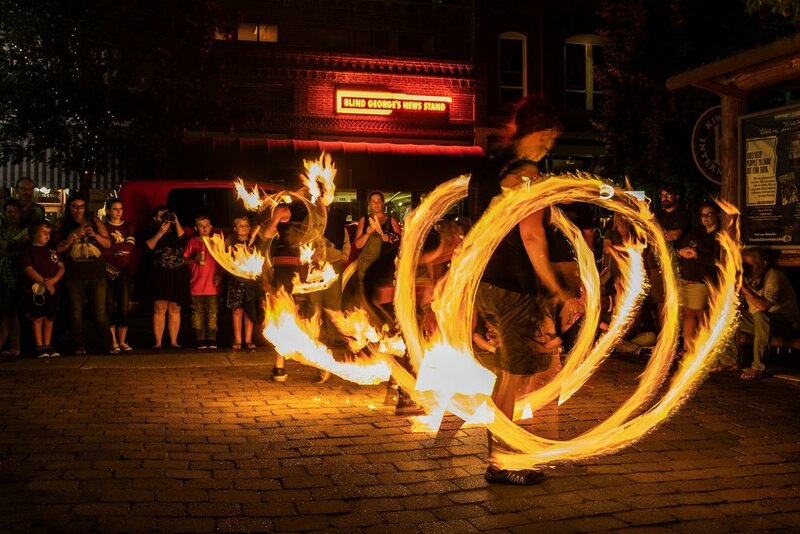 This coming Friday, August 3rd, 2018, with be the 5th consecutive First Friday Fire Performance in Downtown Grants Pass, Oregon (outside the Grants Pass Welcome Center on G and 6th Street). Free to the public, and encouraged to participate with a percussion instrument or maybe even have fire spun around you! I have done a number of things with Full Circle Phenomenal that I am proud of, but I cannot remember a more prouder moment then last First Friday Fire on July 6th when I was able to bring together 5 professional fire performers (well, technically speaking 4, and one novice, but he did good), around 20 drummers and maybe 50-60 bystanders. It was PACKED! And so much fun for all. I was reported to after the show that a man was there who just returned to town after being away for 15 years, and he said, "I cannot believe something so cool is happening in Grants Pass." and I could not agree more with him. WE ARE MAKING THIS INTO A TOWN WHERE PEOPLE LIVE, not die, as it has been in the past. 4th First Friday Fire by Full Circle Phenomenal and Friends. Performances every First Friday, downtown Grants Pass, Oregon. Being a professional fire performer is certainly not easy. From the training, to the trust, to the networking, to the herding of cats (other fire performers); people are simply not familiar enough with the concept of it being a popular means of party entertainment, and that its actually very safe. People who aren't safe in the business obviously don't last long; if you find someone who has been doing it awhile and even has videos and a website, you can probably consider it a done deal. Fire Spinners have zero room for mistakes as we know what we risk. Fortunately the only things to have ever happened in my 4 years experience was minor injuries to myself. Otherwise, it's been a blast, for one and all. Never a complaint. There's obviously something magical about fire; and to tame it brings that magic under control and into a level of comfort, like a campfire. When we flow artists spin fire, I see it relative to emulating what is happening in the micro and the macro cosm; balls of fire spinning around black holes, and electrons orbiting around atomic nuclei - are we really so different? Not at all. We are the same stuff, still just having fun dancing about like we're on fire; cause we are. 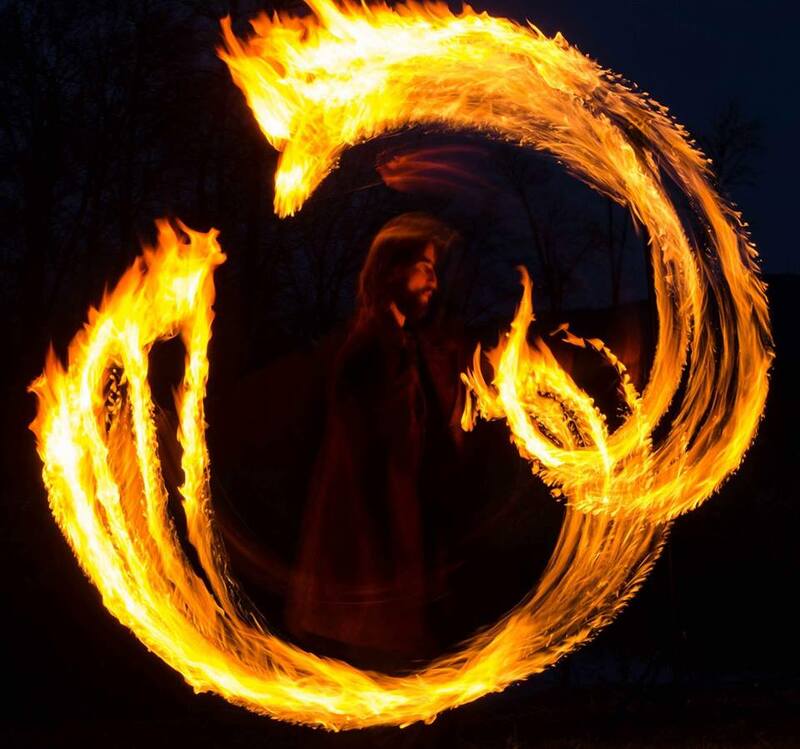 With my practices of yoga and qigong, I combine with my fire performance to keep things focused and on an even keel, inside and outside of myself to ensure everyone has the best time possible, without things getting out of hand. I have been checked out by the cops every First Friday and on numerous other occasions, and EVERY TIME, still to my amazement and great appreciation, they're cool with it. These types of interactions is what gives me hope, and beyond hope, certainty, that we can be still be wholly creative beings showcasing our great talents, even if they appear to be dangerous, and still all prosper from the experience. Come on out this Friday at Sundown (9:00pm-ish). The address is 198 SW 6th St., Grants Pass, OR, 97526. First Friday Fire Spinning Show in Downtown Grants Pass, Oregon (6th and G) at Last Light. If you knew your wildest dreams WERE coming true, what would you WANT to dream? What would you dedicate your focus to if you knew you were destined for success? For me, it’s a wildly expansive, yet collective view of the world we live in. I dream of a world, and a community of mankind, United. To see all living the lives of their dreams and being able to freely experience the world without the obligation to limitation of fears, or merely where, or what situation you were born into. The only way I know how to make this dream come true is to BE IT. I have attempted twice now, and the third time will be a charm; I will be heading around the world via motorcycle to adapt to all world cultures, languages and practices, sharing of myself and receiving of others to make partnerships in between borders and connect an around the world circuit, personally. My blueprint rout is south through Central America, a loop around South America, from Brazil to South Africa, north through Africa into Egypt and Israel, loop around Europe counter clockwise, come south through Russia/Ukraine into the Middle East, into India, China, Southeast Asia and Pacific Island hop home, manifesting the means to keep healthy my body and my motorcycle through countless services. Upon my return to Oregon, where I was born and raised and in time will raise my own children, I will erect a three story black glass pyramid that I received in a vision just a couple years ago (“The Academy of the Heart” - https://www.facebook.com/academyoftheheart/), which is a free school that will teach and philosophize everything under the sun, and beyond. There have already been a number of synchronicities to move my journey towards this outcome along its grand and daunting path, including coaching the great granddaughter of the man whom the land the pyramid will be on, was named after, and even more recently becoming a member of my first church, The Unity Church of Grants Pass (renamed the Open Heart Unity Center of Grants Pass - ) where I now teach and lecture, just as I will in the pyramid. First thing’s first, I need to grow my numbers and create have a sizable nest egg to embark with (I’ve already taken two leaps of faith with next to nothing, and though it all worked out, I’d like a bit more ease to making this grand journey as comfortable as possible). I’m looking for people willing to donate to my cause, and in turn will provide you with one or multiple things in return (yoga/meditation lessons, Reiki healing, fire spinning lesson/performance, wellness consulting and coaching, and even a dance lesson if you prefer). All of the proceeds will go into feeding and sheltering myself and my Kawasaki KLR “Dark Horse”, and contributing to my worldly education. Would you please help me into creating the character I dream to be, and the world I sense we’d all like to create? I will not let you down, even if you cannot help me with finances, just please keep me in your prayers, and visuals and see us both as plentiful; our thoughts are things and we do consciously create on a moment to moment basis, believe it or not (an important part of our day to day meditation and yoga journey, whether we commit to it or not). I am thankful for the challenges I will and do face, thank God/Source/Spirit for enabling me and blessing me with this incredible life, and thank you for giving me your attention and an opportunity to give and to receive. Blessings abound to us both. Cheers, to light, to love, and to life!